Since getting 'the chop' a few months back, I've come to notice that for me my shorter hair takes more work on a daily basis, and with a strict weekly school routine I don't have the time for curling and I don't own any straighteners, so I have to have a good group of products to fall back on. The Tresemmé 24 Hour Body Volume Spray is a good one for spraying on damp hair before blow drying to get some extra volume. I find this works especially well if you blow dry it upside down and you get a lot more root volume that way, and it seems to hold rather well too. This is only a mini but it's lasting well as only a few spritzes does the job. For some hold on any hairstyle I opt for, I tend to use the Bumble and Bumble Classic Hairspray. if you can get over the fusty smell, this does a decent job at holding the hair in place without being crispy, but due to the smell I am hunting for an alternative. As my roots lack volume but I have quite thick hair, it tends to resemble some kind of triangle where the ends are much bushier and the top almost sticks to my head. To combat this I have recruited the VO5 Give me Texture Dry Texturising Spray that I spray at the roots and give a good ruffle and it seems to do the job. To add a little more texture and also some hold, I use the L'oréal #TXT Volume Supersizing Spray and scrunch up the hair in my hands a little for a bit of gritty-ness. Finally, after years of using it and a love-hate relationship throughout, it's Batiste Dry Shampoo. This is the Oriental one, but I recon I've tried most of the range and get the same effects from them all. If you use it properly you avoid that powdery feeling and white roots dreaded combo and instead have fresh looking hair with added volume, a doublet of effects everyone loves. What have you been reaching for to spritz on your hair recently? Thank you so much for this post! I've always had short hair and struggle to change it up a bit and these look ideal to give it some much needed boost! 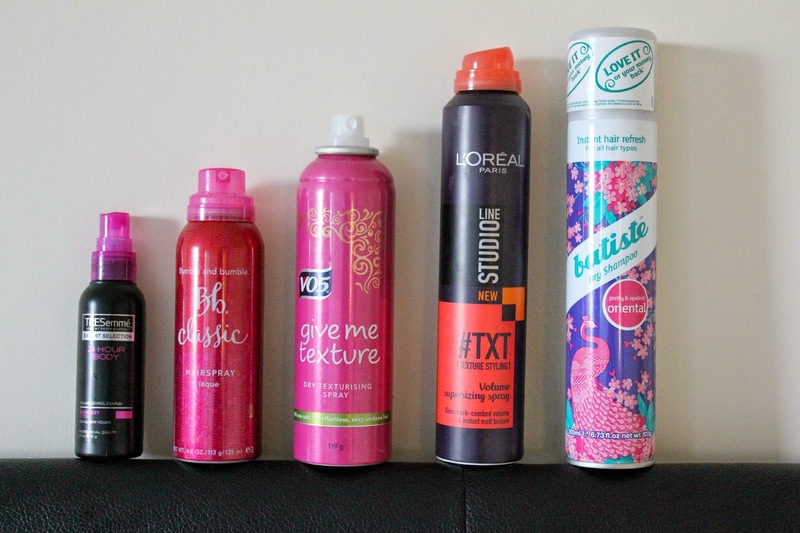 Great post :) I love dry shampoo! 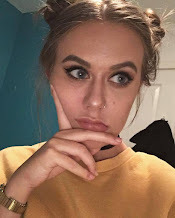 I love your blog and I have followed you with Bloglovin and GFC. If you ever get a chance to check out my blog I would be delighted, thanks!